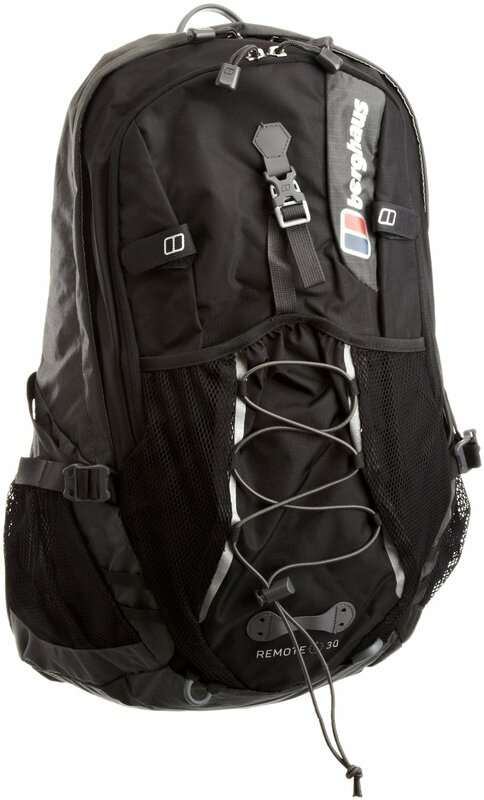 Is there a better value brand for travel than Berghaus? With consistently affordable bags and travel clothing, it’s no surprise that its latest lightweight daysack – the Berghaus Remote II 30 – follows that trend by bundling outdoors-centric features with urban functionality. The Remote II 30 is classic Berghaus. Its black/coal or chilli pepper red/grey outer is reflective and stores pockets galore; attached are mesh stuff sacks on both sides. Ideal for a water bottle, they double as useful stuff-sacks for chargers and cables if you’re carrying gadgets. Selected largely for its airflow system (nobody wants a permanently sweaty back), this diminutive 20-litre daysack’s waist-belt is more of a stomach band. It does lack a rain cover, while the front pocket is just too small to be of much use (it’s too small for a guidebook or even most maps). In a water resistant design that comes to its zenith with a rain shower hood that stows underneath, the Berghaus Remote II 30 also includes covered zips that keep the moisture out. Packing maps, and iPad or a Kindle? The Berghaus Remote II 30 has it covered; its front pocket can carry a tablet perfectly well, kept in place by a reassuring clip. There’s also an impressive interior, where an elasticated mesh pocket is easily able to host a tablet or a laptop – in our review we shoved-in a 17-inch laptop with no problems. It weighs 1.1kg, which is heavy for its size, but the clue as to why is in the name; its Freeflow back system puts a significant gap between the bag and a back. The extra air circulation makes a significant difference in humidity, and for a long, hot trek it’s superb. Slimmer than most daypacks this size and with a curved shape that is trickier to pack than most, this is nevertheless a daypacker’s dream; a waterproof section that could host toiletries stars in an uncluttered, comfy and great value bag that’s ideal for humidity.